Bunscoil an tSleibhe Dhuibh grew as clusters of mobile classrooms; sometimes second and third-hand leftovers from other schools. Development lands are scarce in West Belfast and the School Trustees were fortunate to source a site in their immediate neighbourhood. The site had been a vacant back lands site bounded by a church, football grounds, youth club and the back gardens of houses of Ballymurphy Road, a future nursery school and a multi-sports surface that will be shared with the local residents. 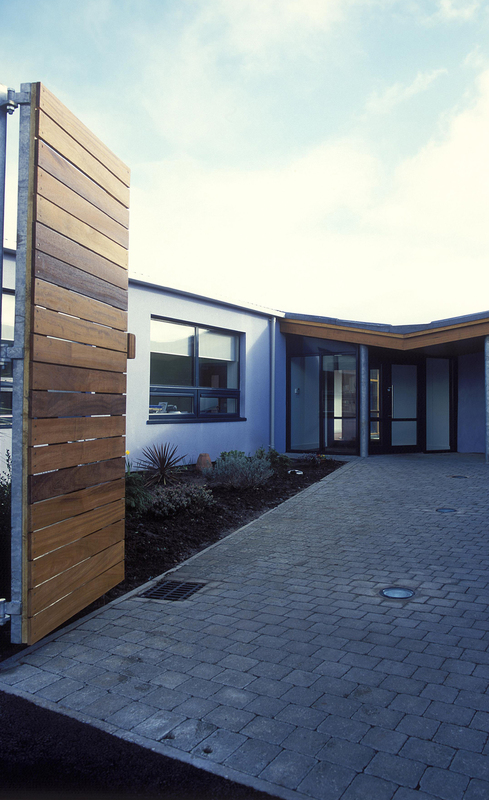 The design concept was the clustering of classrooms around a courtyard. The plan is simple, the relationship of spaces layered to contribute to the teaching environment. 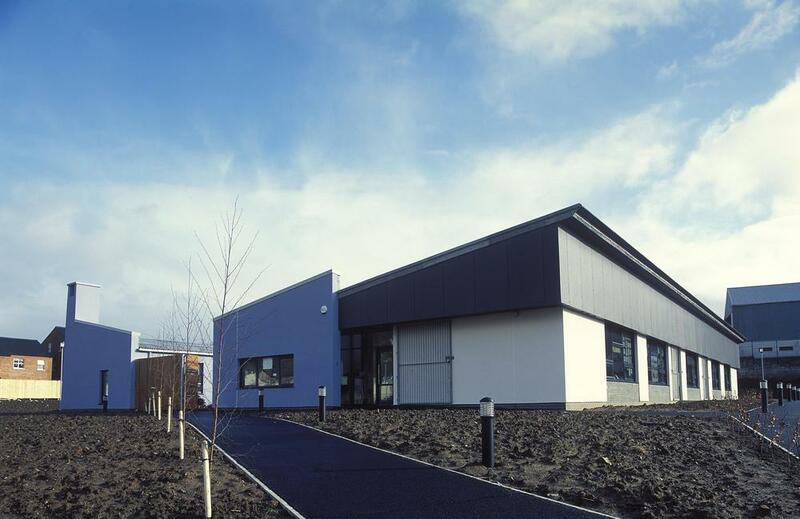 The detailing of simple and everyday materials is robust and informed by aesthetics and the issue of future maintenance of the school. Accessed by a narrow short lane between the school and the youth club the site is cradled by the flat-topped Black Mountain. Clearly visible on the Black Mountain is the ‘hatchet field – so named because of its distinctive shape, but whose name evokes other stories and myths. It is the mountain gives its name to the school : Black Mountain , Sliabh Dubh. 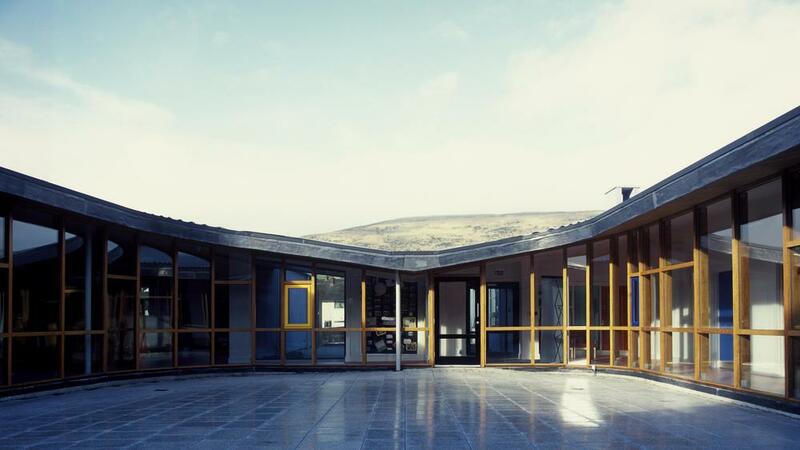 Both forecourt and courtyard align views with the ‘hatchet field’ on the Black Mountain and give central focus to the community of the school affording light and natural ventilation to the resource spaces that serve the classrooms. 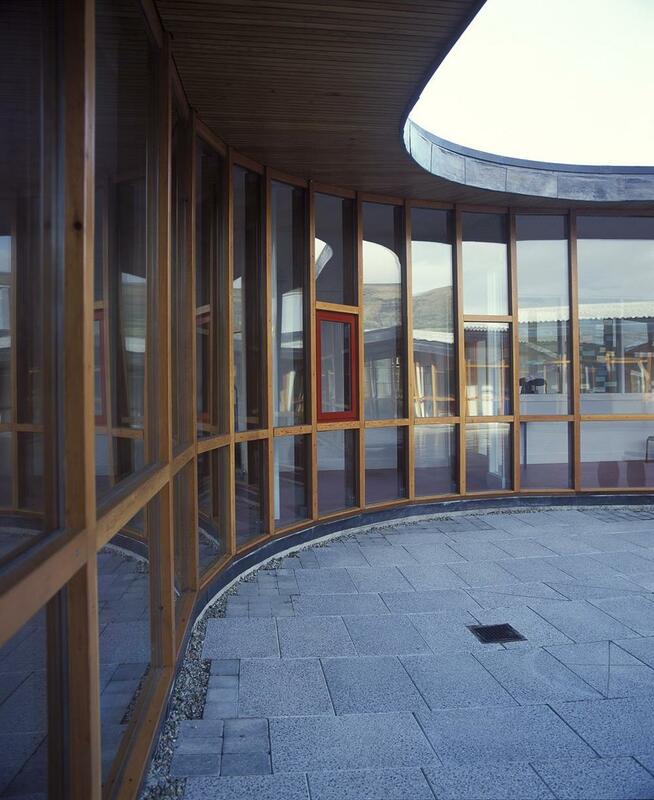 The forecourt and courtyard are part of the hierarchy of space from front door, through the forecourt, past the central courtyard, to the primary volume of the school hall where the teaching tone is articulated and where glimpses are given of the mountain that gives its name to the school.